Animal use confers an ethical responsibility to ensure animal welfare; improvements in farm animal health and welfare can improve productivity and food safety, and hence lead to economic benefits. There is an important relationship between animal health and welfare and the use of animals in agriculture also contributes to human well-being. In line with Office International des Épizooties (OIE; the World Organisation for Animal Health) guidance on animal health and welfare, including the five freedoms1, this principle and accompanying criteria set expectations for the treatment of cattle throughout the value chain. Continuous improvement is key, consistent with the fact that some regional guidelines exceed OIE. An underlying assumption is that there is compliance with national and international regulations on animal health and welfare. 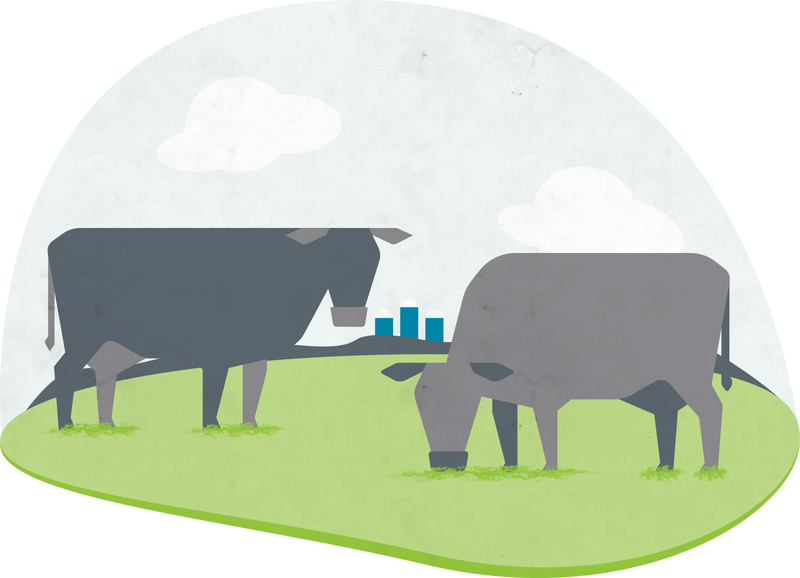 Adequate feed and water are provided to meet cattle’s physiological needs. Diet composition is balanced to promote good health and proper body condition. Animal caretakers recognise signs of malnutrition and take appropriate action to maintain condition and correct deficiencies. Animal caretakers provide cattle with health care, in addition to identifying health problems and taking appropriate action to control and treat disease. All veterinary pharmaceuticals and vaccines are used responsibly and in accordance with labeling. Appropriate action is taken to minimise undue pain, injury and disease, and to address any of these problems when identified. A competent2 person is available to make prompt diagnoses to determine whether sick or injured cattle should receive additional care or be euthanized. In the interests of continuous improvement, alternatives and innovations are investigated and, where practical, are adopted to replace or mitigate painful husbandry procedures. Good animal welfare is ensured, including the freedom for cattle to express normal patterns of behaviour. Animal caretakers should minimise cattle stress cattle, and recognise and react appropriately to signs of stress. Cattle are kept in an environment (including stocking density, air quality and surfaces), which is conducive to good health and normal behaviour and minimizes physical discomfort. Animal welfare procedures at processing plants, including slaughter procedures, are in line with the OIE terrestrial animal health code4. 2 A stockman with sufficient experience or training, not necessarily a veterinarian.